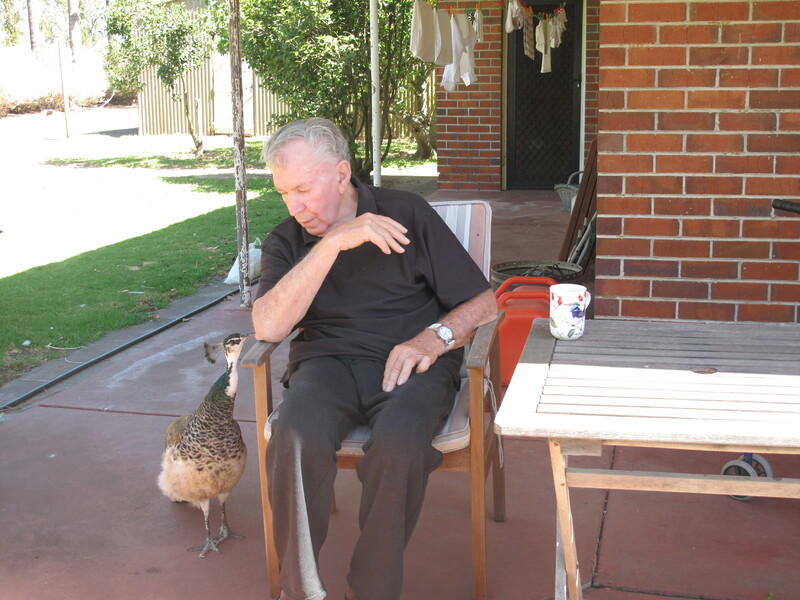 It was so funny watching the interaction between Anthony and my ever-curious little peahen, Gutsy9. 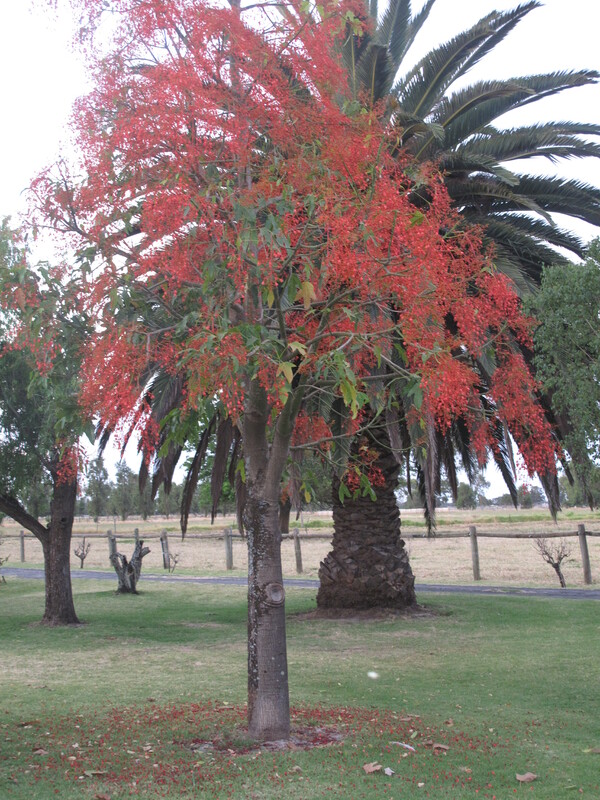 But Anthony was much more interested in his glorious flame tree…. 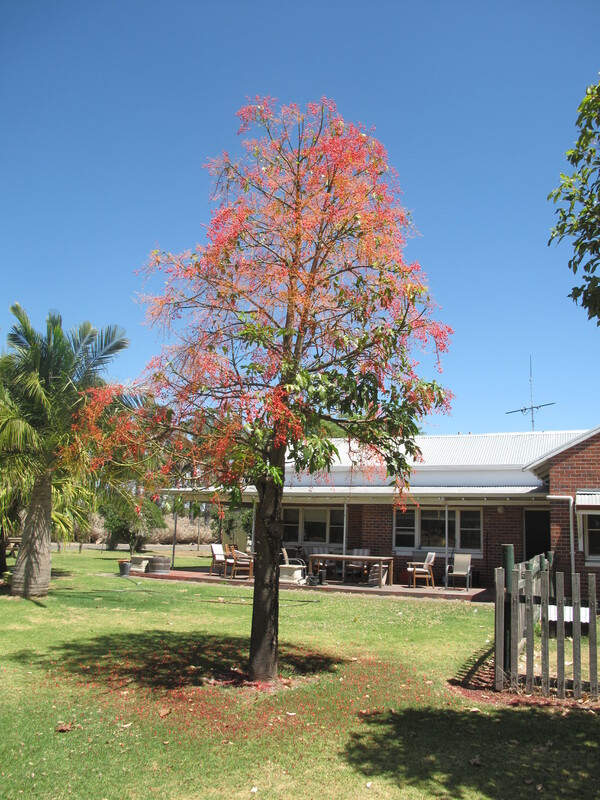 Ants reckons it’s a Queensland flame tree but not sure. I love the photo where the G9 and Anthony are looking at each other! It was hilarious to watch! It has never flowered like this before – wonderful! I got my first ever dryer last year but hardly ever use it! I love, love, LOVE all these things! The curiosity of Gutsy9, the gorgeous flame tree and that lovely dessert that I’ve never heard of before but which looks divine. 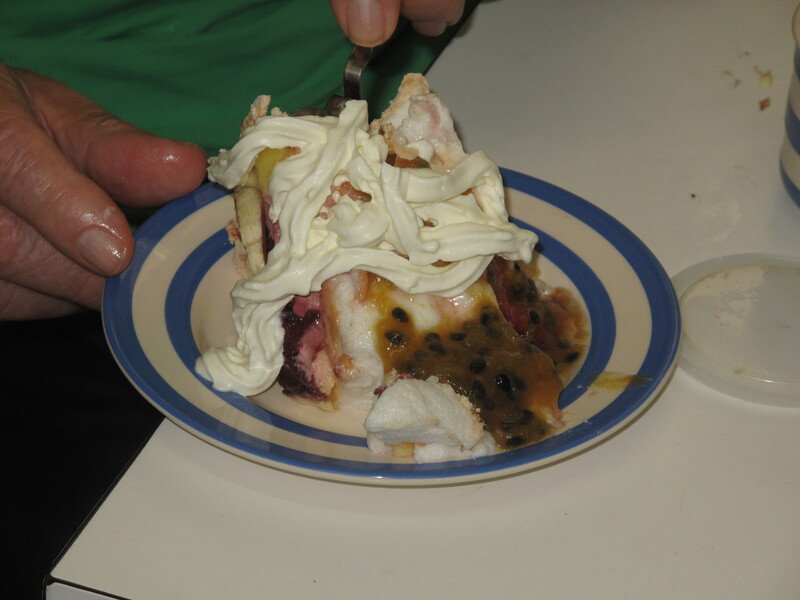 Pavlova is wonderful – thanks Trisha! Yes it’s some sort of palm (oh dear, I don’t know what sort!) Anthony planted it when his family first came here – before I was born haha! That is special when a tree grows in the yard that someone in the family planted. He pretty much planted everything here way back then/when! I go for the Pavlova too. Love the expressions on G9’s face trying to get Ant’s attention. That’s one beautiful piece of property you live on. Yummy looking dessert. G9 is hilarious. Today she followed the lawnmowing people everywhere until they gave her a pat! Great photos!!! I heard on the TV today that you are having extreme heat temperatures! 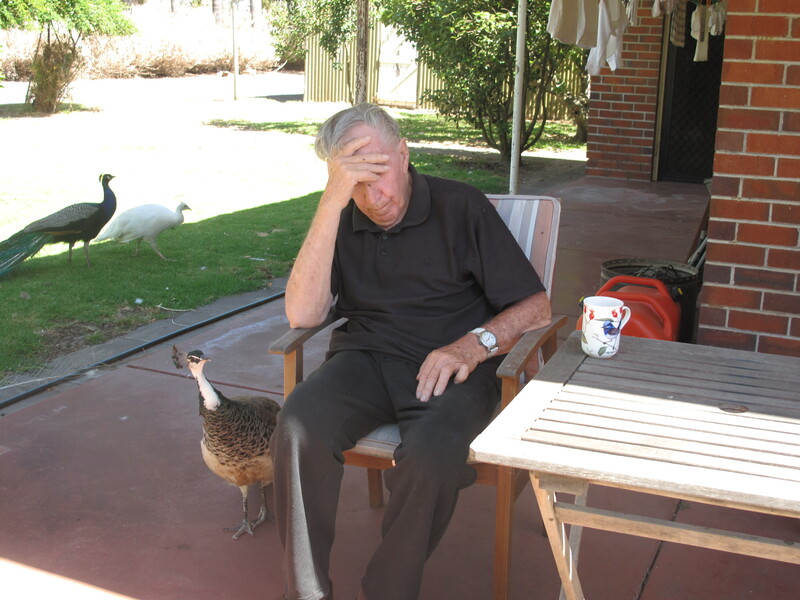 Yes – heatwave hits tomorrow – argh! 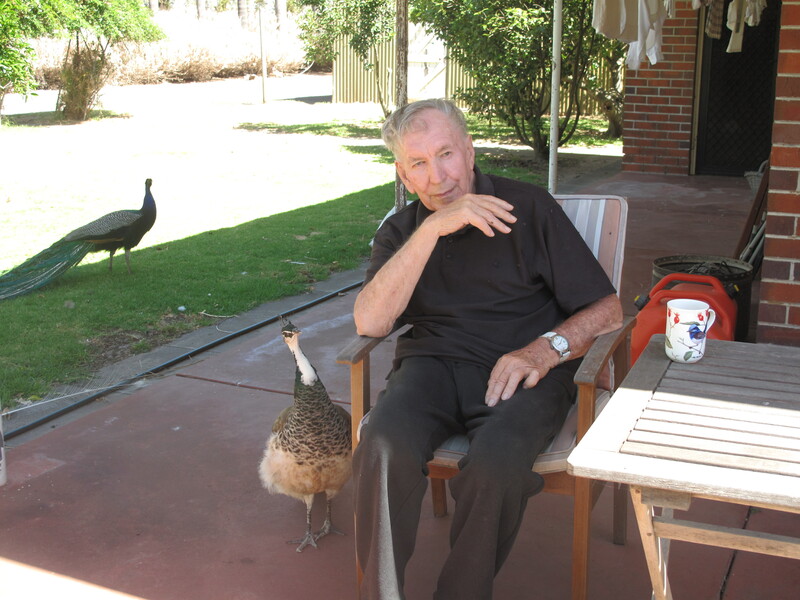 Love the photos of Ants and the peachick…what a great story that series tells. Ha!